Oblivion engine, as many people noted, is rather bland - as far as graphical style goes, I consider it the worst of the three post-Daggerfall TES'es. Still, Morroblivion does have its share of things to strike my fancy. I am using a non-vanilla night skybox and sun glare and a nice mod that makes the fog to be greyish instead of bluish. I especially like how north West Gash came out. The nights in the new climate may be a bit darker than necessary, but that's why we have Light amulets, Night-eye potions, and, for those advanced in magic, Light spells. Long time lurker here, decided to post some screens! 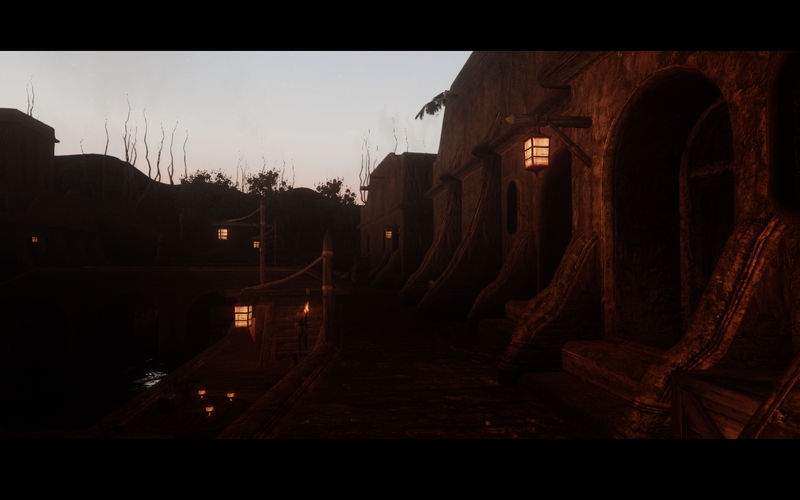 Some shots I took from Balmora. Enjoy! A snapshot that has come about by chance. 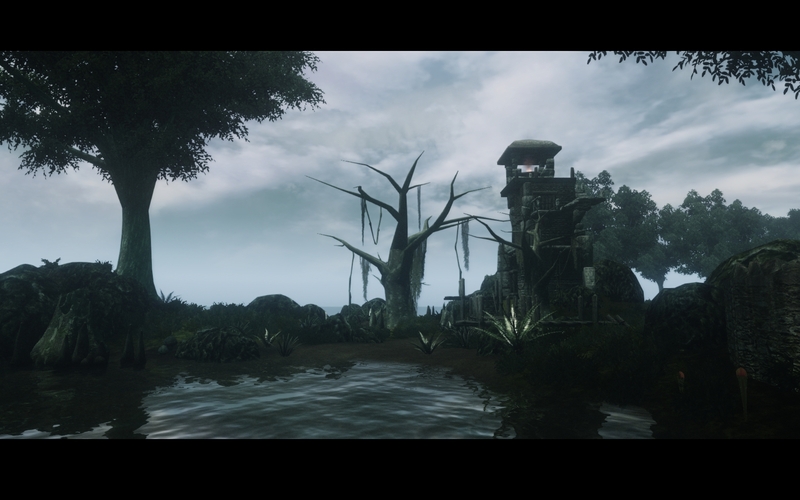 What's the mod you have that makes the fog greyish isntead of blueish? Nice rainbow over Arkthand, Raubkopiesäbel, btw. Here's what Oblivion Character Overhaul v. 2 does to the characters. 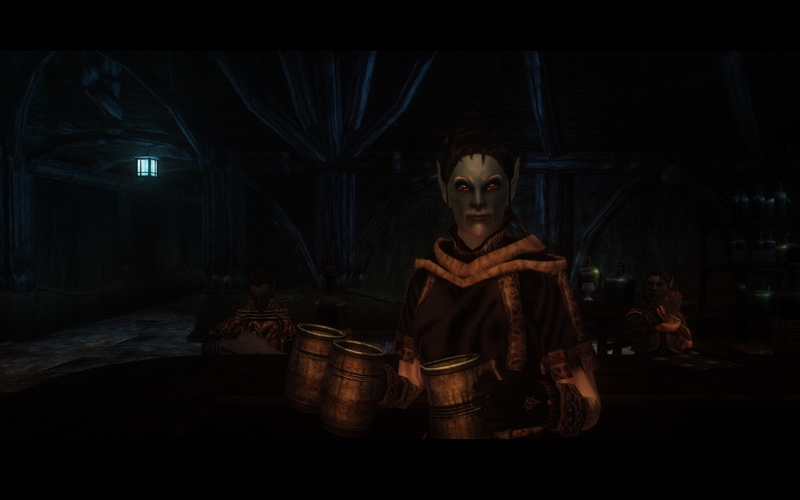 Each individual character looks fine, but there's a definite trend to overly large eyes and small chins, especially in Dunmer, and most Redguard NPC's look indistinguishable from an Imperial. Still better than vanilla, though. Stuff NW of Gnisis. Beautiful! Here is yet a beautiful snapshot. Mounhold is quite majestic! 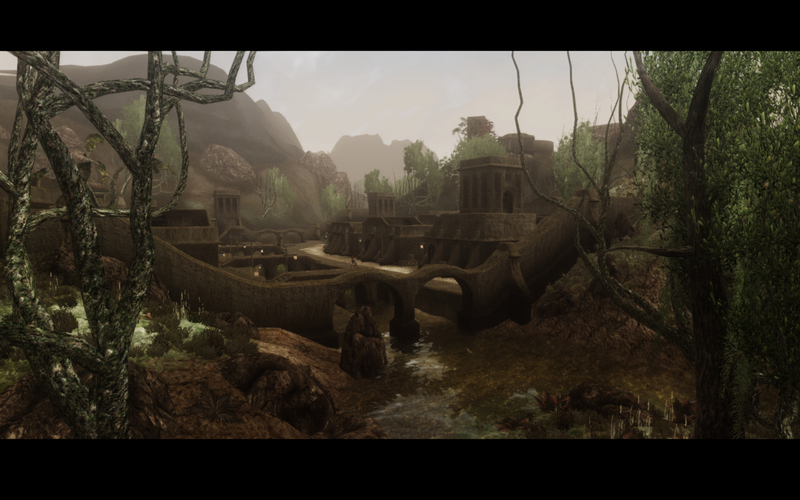 Oblivion render seems to be more suited to Mournhold than to Vvardenfell, for some reason. Here's my thief Imperial character who just started the game. Enjoying it more than my first character, a law-abiding male Redguard (maybe because DarnUI DarkN with dialogue distance 4.5 makes for a better flavour that default Oblivion interface). 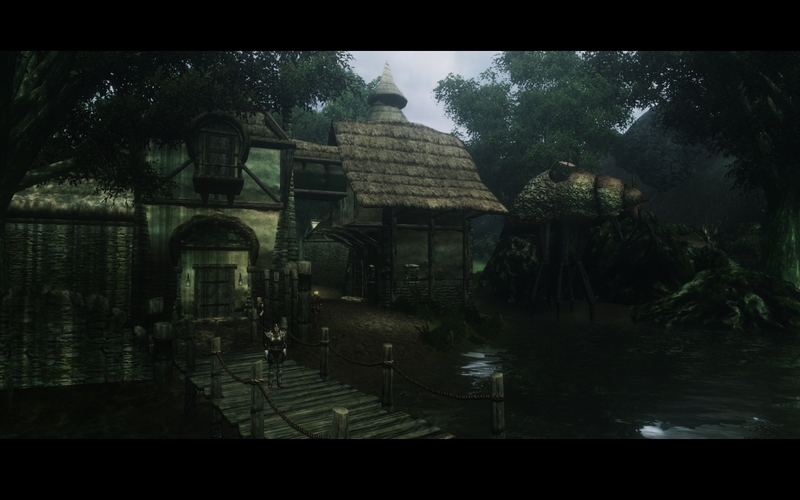 I normally don't like FoV filters and such stuff, but Oblivion Reloaded collection of graphic enhancements works very well in Oblivion engine, making it much less bland. 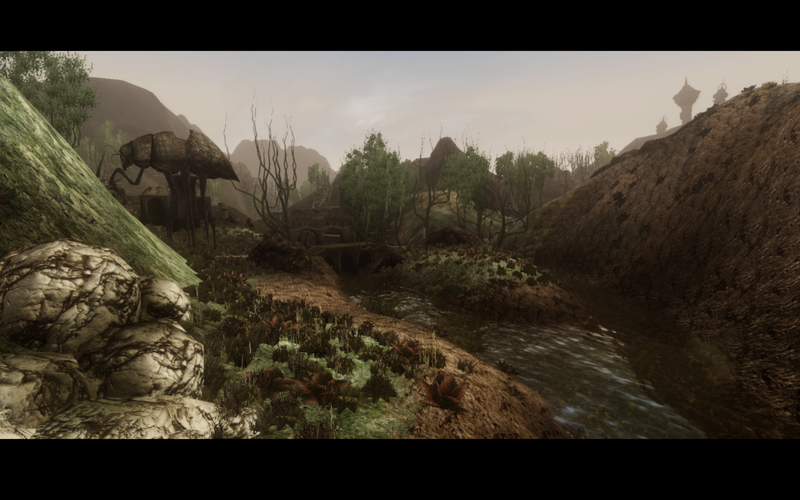 Here's some beautiful screenshots of Ascadian Isles. Looks great! Will there also be new DistantLOD files? They're missing from the current .bsa. I'm also tampering with textures which make use of Detailed Terrain shader - they make a world of difference. 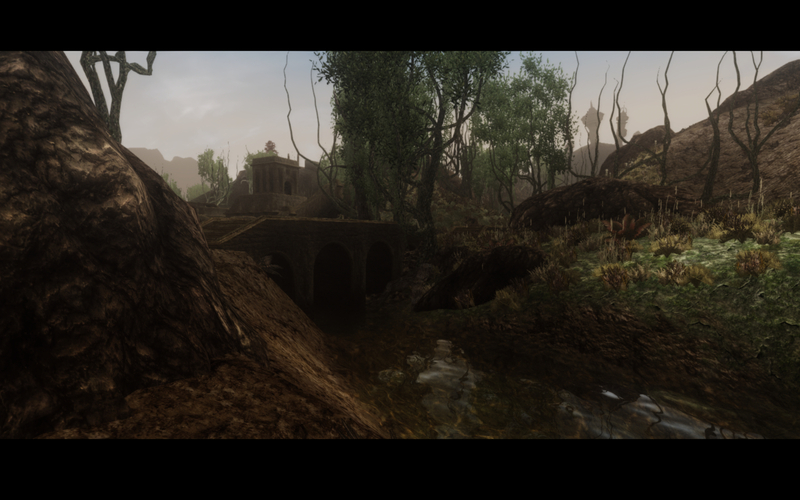 Cinematic ENB with Improved Water and Enhanced Grass combo works major magic, too. That looks really good, maczopikczo. Do you mind if I use one of your screenshots as a title picture for the next Morroblivion release? Yes, there will be. I'm trying to make them look as good as possible, but there's lots of engine limitations on what can be displayed in LOD. Not at all qwertyasdfgh :) Take anything you like and use it any way you like. You may find even more interesting Morroblivion images @ my nexusmods profile. I'm honoured you offer to do this. Just a few. :) Look me up on Flickr (same name) for more. Look it this gem I just found on Morrowind Nexus. Wow, that is a vast improvement over the vanilla Vos tower! And I LOVE your new Ghostfence, Qwertyasdfgh! Here is a little love story between my character and my companion Saphiria from Saphirias Romance And The Chamber Djinnis. Texts are in German. 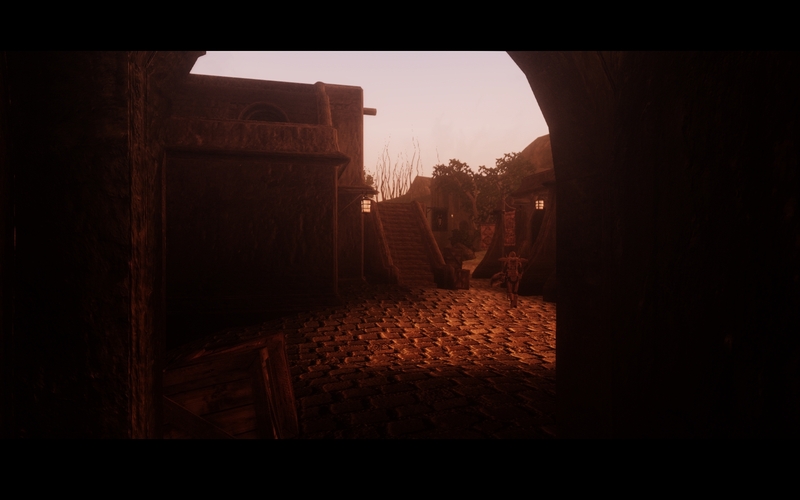 Is this mod working with Morroblivion ? 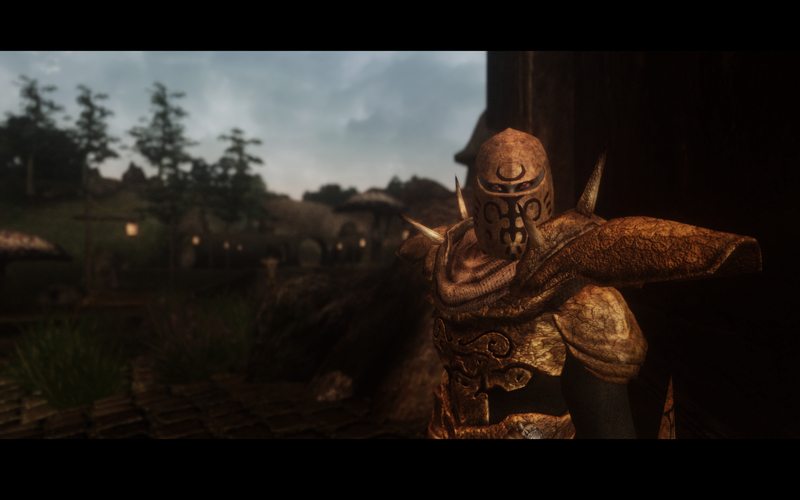 It's a mod for morrowind, isn't it ?